These help determine what happened just before the inappropriate behavior occurred and should be used consistently if you suspect a behavior disorder or disability. 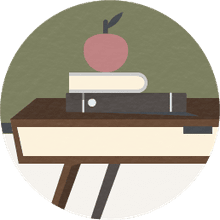 These forms will help structure your first meeting with the IEP team to review their observations and shape the Functional Behavior Analysis (FBA.) It is the first step toward creating a Behavior Improvement Plan, to support the students success. The FBA needs to be completed before a behavior contract may be implemented. This sample requires the teacher to sign per day or per half day each time the child exhibits appropriate behavior. There should be a reinforcer or reward in place for a specific number of teacher initials.This sample behavior contract is suitable for first to eighth grade students and should be filled in with the teacher present. This plan requires the reinforcers and consequences to be listed. This popular worksheet is placed on the student's desk. It focuses on modifying one behavior at a time. Initially the teacher should stand next to the student and administer it, but after a day or two, the student should be ready to take over. You may want a peer you trust to monitor the other student. This works well with young elementary students, but with fourth or fifth grade students, in which case a teacher should be leery of opening a compliant student up to bullying on the playground, etc. This is a great self-monitoring tool to teach a child to raise his/her hand and not call out. This worksheet is more flexible, since unlike the above printable, this form is blank. You could use a different Behavior for your countdown on consecutive days, alternate, or take a more flexible approach. You need to start with a single behavior to start, and add behaviors as you go. This might be part of a two pronged approach, as you may want to use the countdown for one behavior, while focusing on other behaviors with a behavior contract. In other words, you are challenging the student to prove that he has mastered the calling out behavior, or the talking during instruction behavior. This particular worksheet is what gets things started! This form would provide the agenda for a first meeting with your IEP team to address behavior issues. It provides for Antecedent, Behavior and Consequences to be observed and counted. It creates a structure for your FBA meeting that will help you collect baseline data and share responsibilities for the BIP (Behavior Improvement Plan) and its implementation.